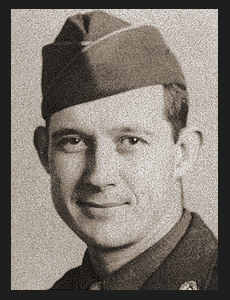 T/5 Warren G. McClintock, husband of the former Gail Green, attended Davidson High School. Entered Army in Nov., 1943, trained in Camp White, Ore.; went overseas in April, 1944, served in England, France, Belgium, Luxembourg and Germany. Awarded Good Conduct Medal, ETO Ribbon with five Battle Stars, Pres. Unit Citation.